Click the → Extensions button. In the Yandex Services block, enable the Yandex.Disk option. 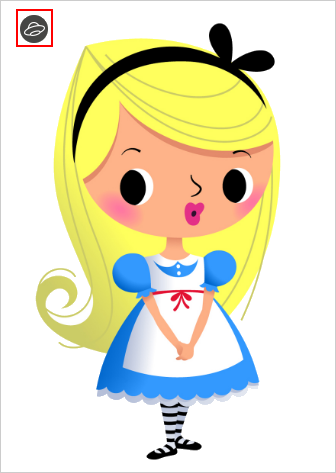 The Chrome extension can be downloaded from the Chrome Web Store. Hover your mouse cursor over the image. Click the Disk icon in the upper-left corner of the image. When saving starts, a download indicator appears on the extension icon: . 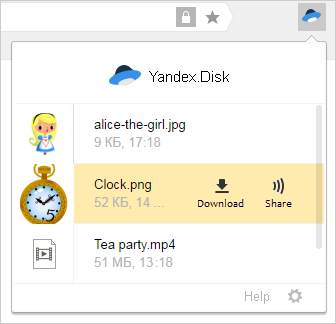 To save a document or text file that you opened in the browser viewer to Yandex.Disk, click the button in the upper-right corner of the viewer. Click the icon in the browser toolbar. Select a file in the list and click Share. A link will be copied to your clipboard and you will be able to paste it into any message. Note. The list contains the last 20 files you saved to Disk.